When a tote or shoulder bag is too much but you still need to carry some essentials, a clutch bag is the perfect solution. It’s big enough for your phone, keys, and lippie, yet small enough to carry around easily. But with so many clutches to choose from, how do you know which to pair with each outfit? Luckily, we’ve found you the ideal clutch style for every look. It’s said that every woman owns a little black dress. But not every woman knows what kind of clutch will complement that dress. It can be tempting to opt for a safe black bag to match the black dress, but on the contrary, a pop of colour is often the best thing for your LBD. If you’re heading on a night out, opt for a bright-coloured clutch. For a more chilled-out look, try a clutch with a geometrical pattern. 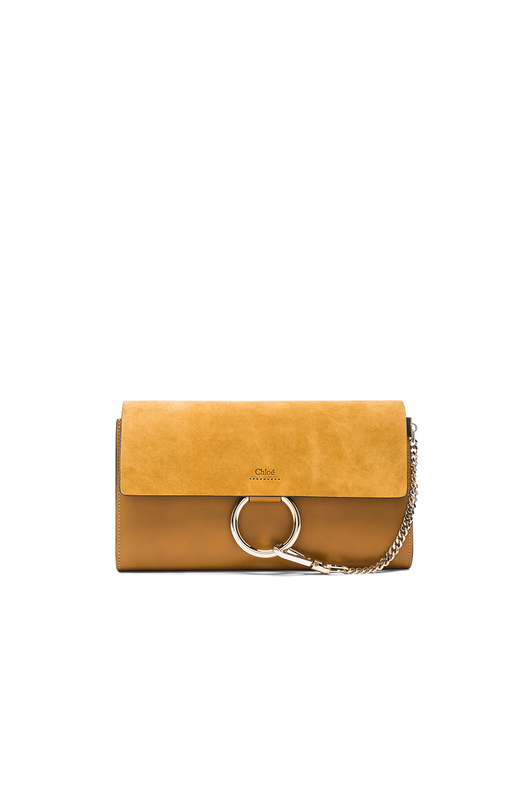 We love this bright yellow suede clutch by Chloe. If you’ve been invited to a dinner evening, black tie, or formal event, then you need a bag that exudes sophistication. There’s nothing classier in the bag world than a black clutch with gold hardware—particularly one with a quilted design. 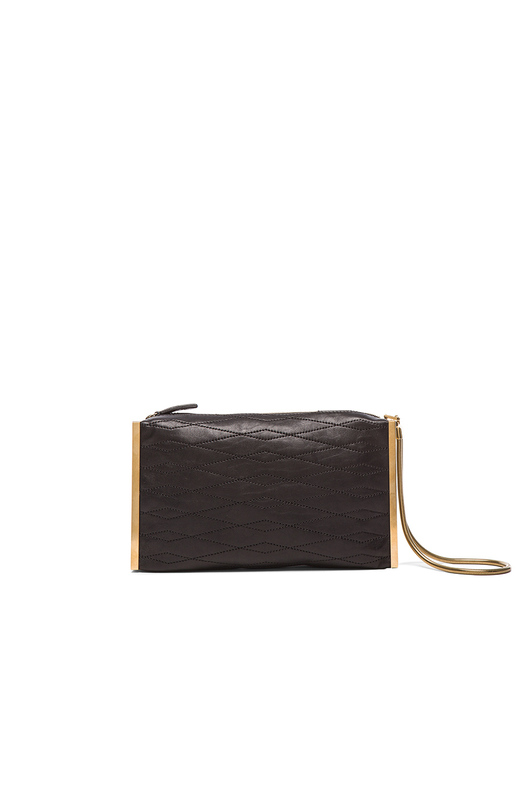 We simply adore this chic Lanvin Lambskin clutch in classic black. The handy wrist strap also makes it easy to wear for formal parties while you schmooze. Whether you’re the bride or attending a friend or loved one’s wedding, a wonderful way to celebrate the spark of love is with a shimmery bag. 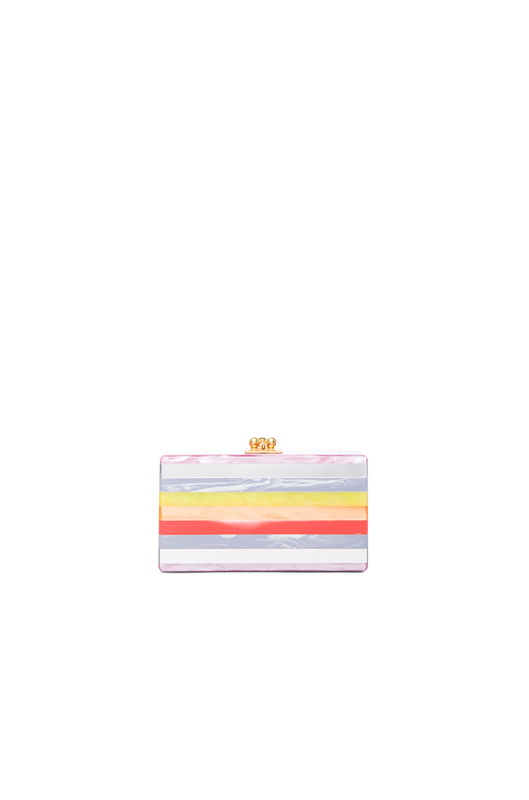 This effervescent Jimmy Choo Candy clutch in crinkled lamé fabric is the one for us. Available in glistening gold or a “champagne glitter”, it’s the perfect partner for any wedding outfit. Just ensure you match your jewellery with your clutch on the magical day. Every woman has those frustrating days when nothing seems to look right—nothing matches—and every item has been relocated from the wardrobe to the floor. The saviour on those troublesome days is a classic black clutch. A simple black clutch will go with any outfit and bring coherence. 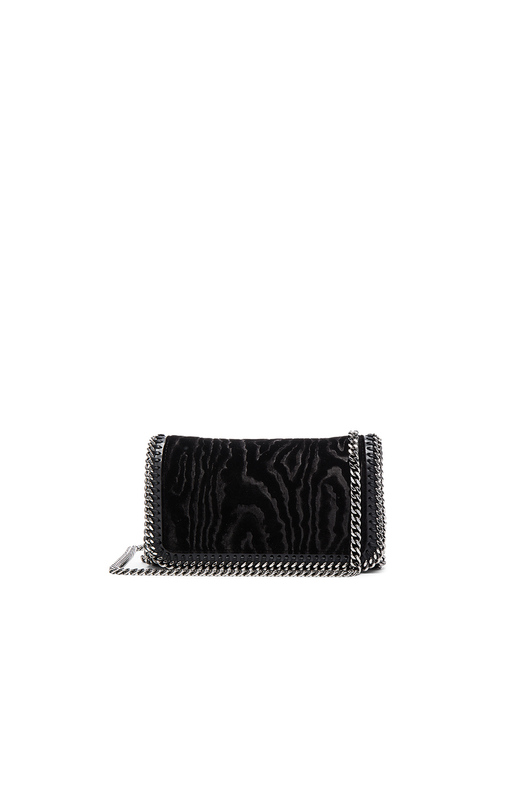 Our favourite is this Stella McCartney super-soft velvet clutch, which can be carried or worn cross-body. The signature metal trim adds interest to a plain outfit. Sometimes, you need a bag that shouts “I’m here!”—and loudly. For a clutch that will bring light to any outfit, you can’t beat something sparkly, neon, or in bold stripes. These Edie Parker Jean solid box clutches are an absolute winner! Available in a range of glitter and pearl, a rainbow of colours, and various striped combos—there’s the perfect bold clutch for any “wow!” outfit. If you’re a fan of the vintage, glamourous look or want something a little different, it’s easy to stand out from the crowd with sparkle and stars. 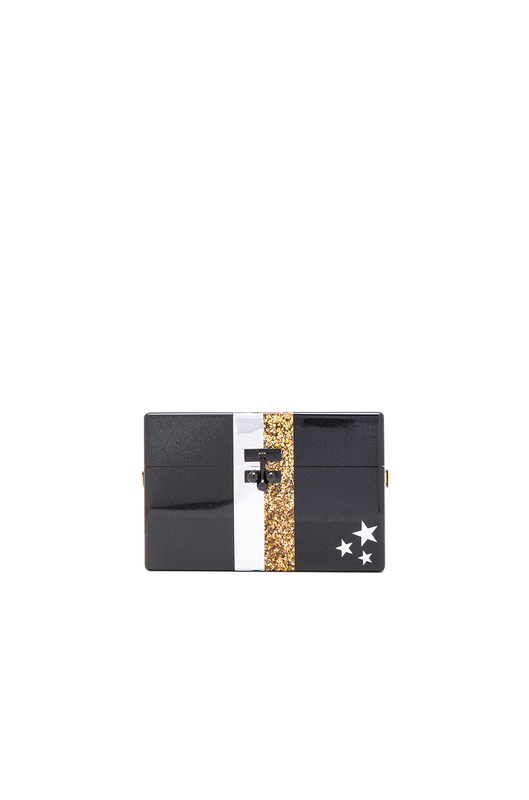 This glam Edie Parker trunk clutch is flecked black acrylic with glittery stripes, and features a tassel strap. Super cute for a rock chick or alternative lady, you’ll be sure to dazzle.